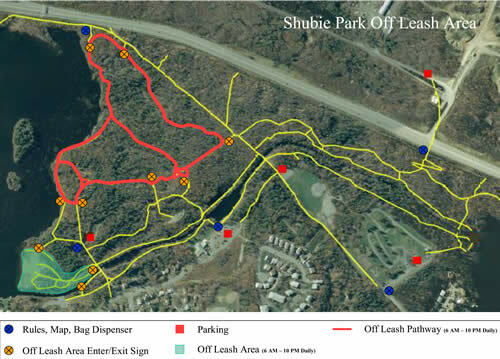 This is the sign at one of the entrances to Shubie with the map and stuff - I can get lost with the best of maps though! And there were actually poop bags there too, which is also a good sign! It's very interesting to note that THIS map - which is on the HRM's website at http://www.halifax.ca/RealPropertyPlanning/OLPS/olps_ShubiePark.html shows a lot more trails than the above map, which is at the entrance to the actual park - which you get to by going onto the Waverley Road in Dartmouth, and then turning left onto Fairbanks Street - which is just a couple seconds beyond the Tim Horton's which is also on your left when you're coming up the Waverley Road - I suggest you Mapquest it, because I am NO GOOD with directions, sorry. I have been to Shubie park many times, but I have to say it was really confusing which were on-leash as opposed to off-leash areas - in fact, as a person who was there for the first time - I found it impossible to tell which was on and off-leash except for the signs telling me I was "entering and off-leash area" and signs "entering an on-leash area" - but if I was on a trail that didn't start with that sign - I would've been buggered. 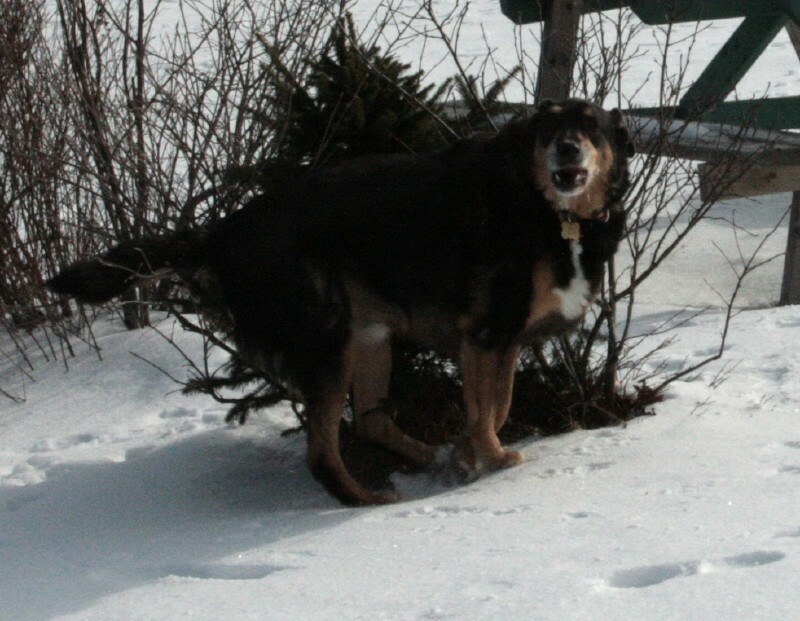 These are photos of Charlie rubbing himself on a bush - he used to love to scratch himself on bushes - isn't he just the cutest? These pictures were taken down by Lake Mic Mac where there's a quite big open area that's off-leash that I'm told there can be as many as 15-20 dogs playing around together on the weekends - that sounds like fun for those that can handle it!